Wilmer McLean’s farm in Manassas Junction, Virginia, was the location of the First Battle of Bull Run in 1861. The Confederates won the First Battle of Bull Run due in large part to General “Stonewall” Jackson holding his ground like a “stone wall,” resulting in his nickname. With momentum on their side, Confederate troops could have pursued the fleeing and exhausted Union army 20 miles into Washington and promptly won the war. Instead, a heavy downpour of rain turned roads into mud pits and they called off the pursuit. Meeting in McLean’s house at the end of the war, General Robert E. Lee took off his sword and handed it to General Ulysses S. Grant, who handed it back. Union General Philip Sheridan bought McLean’s table where Grant drafted the document, and gave it to Major General George Armstrong Custer to carry it away on his horse. The other Confederate armies soon surrendered, till the last Confederate ship, CSS Shenandoah, surrendered in Liverpool, England, on Nov. 6, 1865, after circumnavigating the globe. The Civil War was ended after 258,000 Confederate deaths and 360,000 Union deaths. Robert Edward Lee (1807-1870) was a the son of the courageous Revolutionary War cavalry officer, “Light-Horse Harry” Lee, who was elected the ninth governor of Virginia and a U.S. Congressman. Robert E. Lee was also the son-in-law of George Washington Parke Custis, who was the grandson of Martha Washington and the adopted son of George Washington. George Washington Parke Custis owned the 1,100 acres directly across the Potomac River from Washington, D.C. – the city named after his adoptive father. Robert E. Lee and his wife, Mary Ann Randolph (Custis) Lee, inherited the estate. It was confiscated during the Civil War and turned into Arlington Cemetery. Tutored and homeschooled as a child, Robert E. Lee excelled at West Point, graduating second in his class in 1829. From 1837-1840, working in the Corps of Engineers, Robert E. Lee improved the channel of the Mississippi River. From 1846-1848, Lee distinguished himself in the Mexican-American War. He engineered the American troops’ passage from San Antonia across the difficult Mexican mountains so they could quickly take Mexico City. Lee was against slavery, and a number of years before the war, he freed his own slaves. Lee was so highly respected, that as tensions were leading up to war, President Abraham Lincoln offered him the Field Command of the U.S. Army. After struggling in prayer all night, Lee could not bring himself to take up arms against his friends, relatives and native homeland of Virginia. General Robert E. Lee’s military expertise was so formidable that, for the first two years of the Civil War, it looked as if the South had won. Union forces were pushed back by repeated victories, notably those of General Stonewall Jackson, till Lee’s troops were dangerously close to attacking Washington, D.C. The Confederacy suffered a major setback when Stonewall Jackson was accidentally shot by his own men at the Battle of Chancellorsville, May 2, 1863. In August of 1865, Robert E. Lee accepted the invitation to become the president of Washington College at Lexington, Virginia (later changed in his honor to Washington and Lee University). 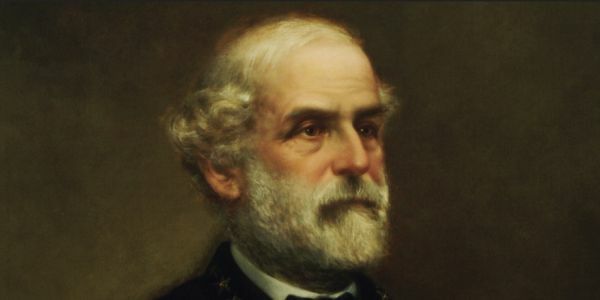 The post What made General Robert E. Lee so great appeared first on WND.